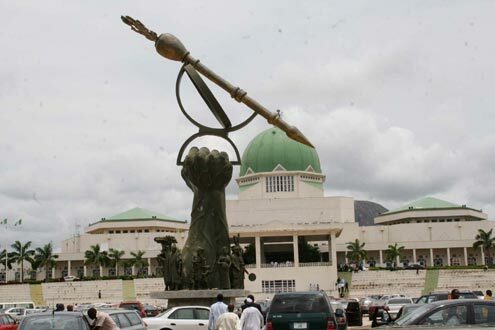 The Supreme Court has ordered a member representing Kura/Garunmallam in Kano State House of Assembly on the platform of APC, Hayatu Dorawar-Sallau, to vacate his seat for the PDP candidate, Abdullahi Mohammed, who came second in the election. Prior to the general election, an APC aspirant, Danladi Karfi, had dragged Mr Dorawar-Sallau to Federal High Court challenging his emergence as the party’s candidate. The court declared in Mr Karfi’s favour, saying the APC candidate did not emerge through the process of primaries as provided by law. It was gathered that despite order, the APC submitted the name of Mr Dorawar-Sallau to INEC. Mr Karfi therefore appealed the case to Court of Appeal, Kaduna, which upheld judgement of the Federal High Court with a consequential order that fresh election be held. Mr Dorawar-Sallau therefore appealed the case to the Supreme Court, which upheld the judgement of the Court of Appeal in part, vacating the order for annulment of the general election. While ordering that the runner-up candidate in the general election be sworn-in, the apex court held that the Court Appeal erred in ordering for by-election. “I hereby order the 3rd appellant Alhaji Hayatu Musa Dorawar Sallau to vacate the seat of the Kura/Garun Mallam Constituency in the Kano State House of Assembly forthwith. “I also order the Independent National Electoral Commission (INEC) to withdraw the certificate of return issued to Alhaji Hayatu Musa Dorawar Sallau immediately and issue same to the runner up in the general election into the House of Assembly. “I order the Speaker of the Kano State House of Assembly or the Clerk of the House (whichever is applicable) to swear in the runner up in the said election on which INEC has issued certificate of return to represent the Kura/Garun Mallam constituency of Kano State. “The 3rd appellant, Alhaji Hayatu Musa Dorawar Sallau is hereby ordered to refund all the salaries/allowances and/or emoluments he collected while occupying the seat in the House of Assembly within 90 days of this order to the Kano State House of Assembly.